Kurt Busch started first and finished fifth, earning six bonus points. The Monster Energy/Haas Automation driver indicated the car was a tick tight. Busch was leading when the competition caution came out on lap 35. Pitted on lap 27 and took four tires, fuel and a wedge adjustment. Some cars took two tires and some cars stayed out so Busch restarted 18th. Said car was a bit tight when he got behind other cars. Started fourth and finished second, earning nine bonus points. Busch pitted on lap 78 for four tires and fuel. The No. 41 Monster Energy/Haas Automation Ford Fusion was a bit tight, but the lap times were strong. Started first and finished eighth. Busch pitted on lap 154 for four tires and fuel. On lap 227, Busch pitted for four tires and fuel. While on pit lane and trying to enter his pit stall, the car of Ryan Blaney just finishing his pit stop. Busch opted to wait, but so did Blaney costing them both a few seconds. Busch pitted on lap 258 for four tires and fuel. He restarted fifth. On the restart, Busch fell back to 12thplace. He was able to work his way back up to eighth. 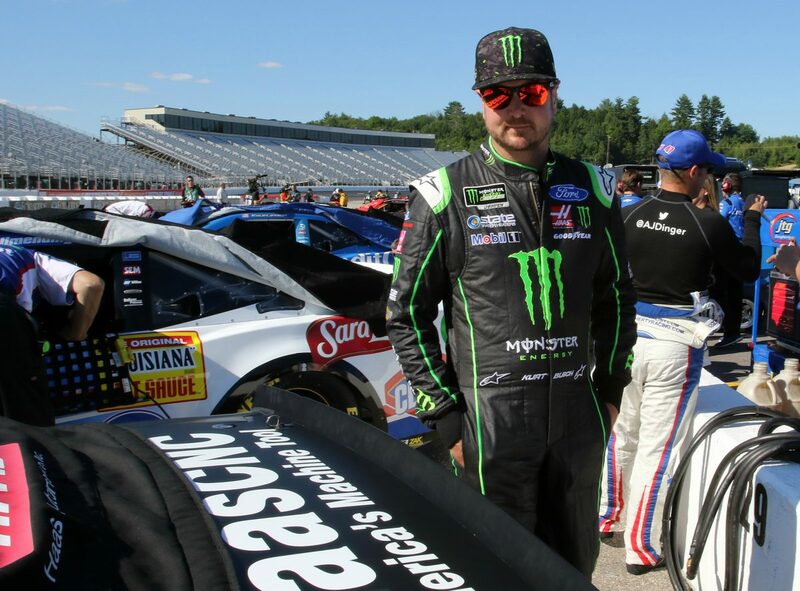 This was Busch’s 11thtop-10 of 2018 and his 15thtop-10 in 35 career Monster Energy NASCAR Cup Series starts at New Hampshire. Busch finished fourth in Stage 1 to earn seven bonus points and second in Stage 2 to earn an additional nine bonus points. Busch led twice for a race-high 94 laps to increase his laps-led total at New Hampshire to 635. Kevin Harvick’s margin of victory over second-place Kyle Busch was 1.877 seconds. There were seven caution periods for a total of 31 laps. Only 19 of the 37 drivers in the Foxwoods Resort Casino 301 finished on the lead lap. The next event on the Monster Energy NASCAR Cup Series schedule is the Gander Outdoors 400 on Sunday, July 29 at Pocono (Pa.) Raceway. The race starts at 2:30 p.m. EDT with live coverage provided by NBCSN beginning at 2 p.m.